These are delicious! Best doughnut filling ever, but of course very rich from mixing Nutella with cream cheese. Made very small doughnuts, so that you feel better when eating more than one. 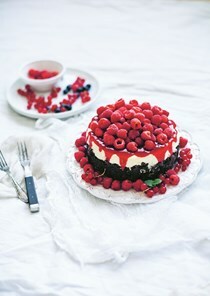 The world of desserts has never been more delicious, or more elegantly styled. 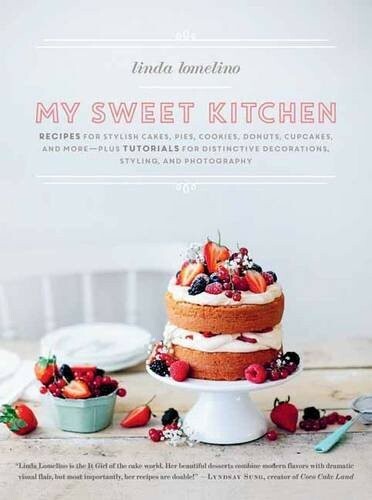 With Linda Lomelino as your baking muse, your kitchen just got a whole lot sweeter. 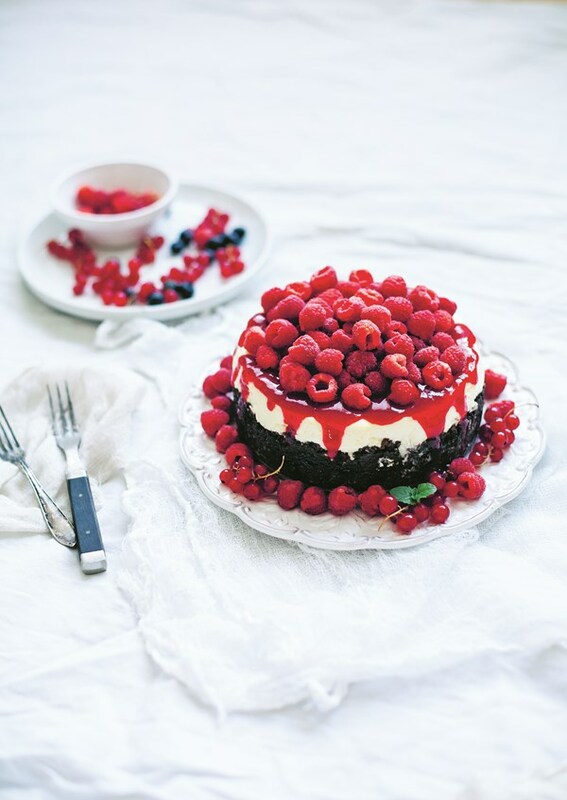 With an offset spatula laden with buttercream in one hand and a camera in the other, Linda Lomelino has made her mark as one of the most exciting recipe creators and food photographers in the world. My Sweet Kitchen, Linda's third cookbook, is bursting with many of her favorite recipes for cookies, cakes, pies, cupcakes, donuts, spoon desserts, and other sweet delights. Linda's desserts are renowned for their elegant blend of classic flavor combinations and unexpected style. Along with nearly 50 original recipes, the book also contains three chapters chock-full of tips on how to bake, decorate, style, and photograph your own creations at home. Linda Lomelino openheartedly shares her secrets for successful baking, telling us what we should always keep in our well-stocked pantries for best results. What should we prioritize when baking complex cakes? Is it best to use a kitchen scale to weigh ingredients? (Hint: "accurate measurements" and "yes"!) 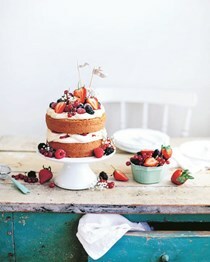 With her trademark atmospheric photographs, every recipe in the book comes to life. Linda also shows us how to pipe icing, frost cakes, decorate with edible flowers, style food to be shared (and "liked") on social media, and even how to tell if we should invest in a new camera to take food photography to the next level. If you have even the slightest sweet tooth, this book will hook you.